If you didn't know, Keukenhof is a big garden (32 Hectares!!) 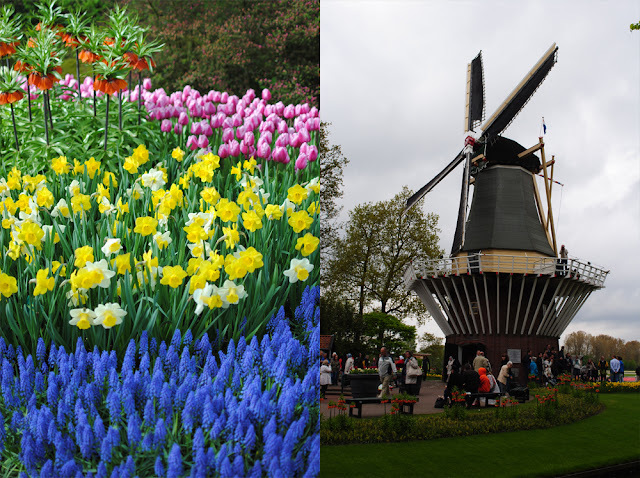 situated in Lisse, not too far from Amsterdam in Holland. It is touted as the worlds most beautiful spring garden and after being there I believe they could be right. Holland is famous for its tulips and at Keukenhof it's all about the tulips. 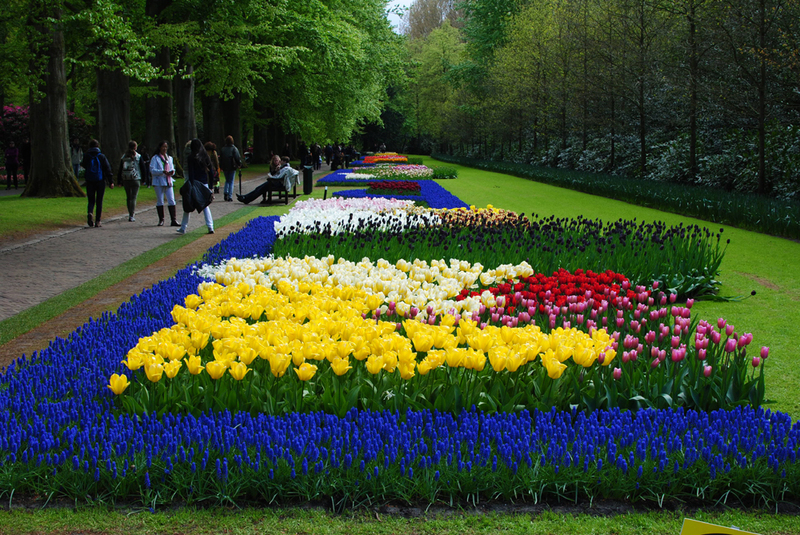 They do also have daffodils and hyacinths but the tulips are the main attraction. 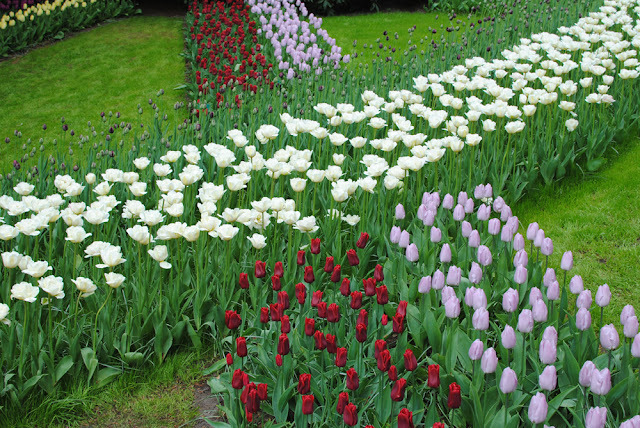 I never knew tulips grew in so many different colours, shapes and sizes! The park itself is full of beautiful trees, water ways and meandering paths creating a perfect backdrop to the flowering bulb display. We almost went there a few months ago but were told the tulips weren't in flower and I'm glad we waited so we could see the full splendour. The weather was overcast and threatening rain when we went, which I think was actually a blessing as the crowds didn't seem to be too thick. And then the sun came out in the afternoon. 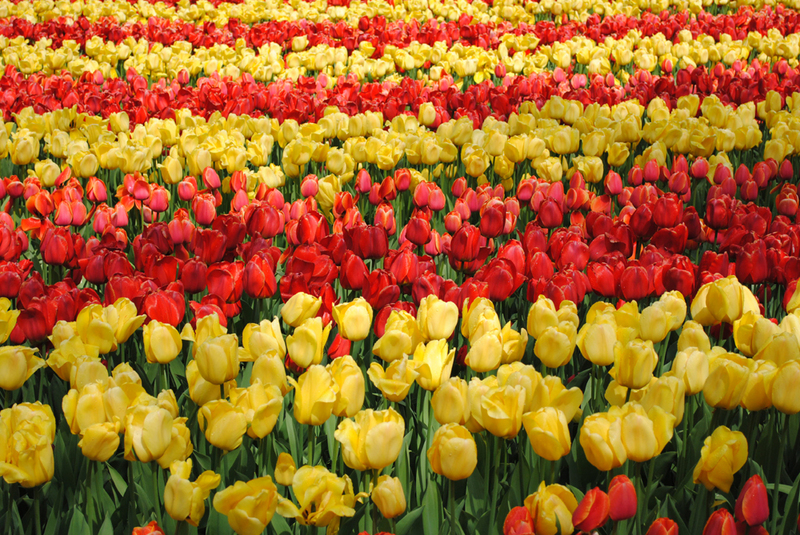 There are also lots of flower fields in the area, where tulips, daffodils and hyacinths are grown for their bulbs. This means you can see the fields in flower. After the peak flowering, the flower heads are cut off (or vacuumed off in some cases!) so that the plants energy goes into growing more bulbs and not into seed making. The bulbs are mechanically harvested and then separated by hand. I'm sure if you know someone from Holland, they will have done this as holiday job as a kid/student or know someone who has! 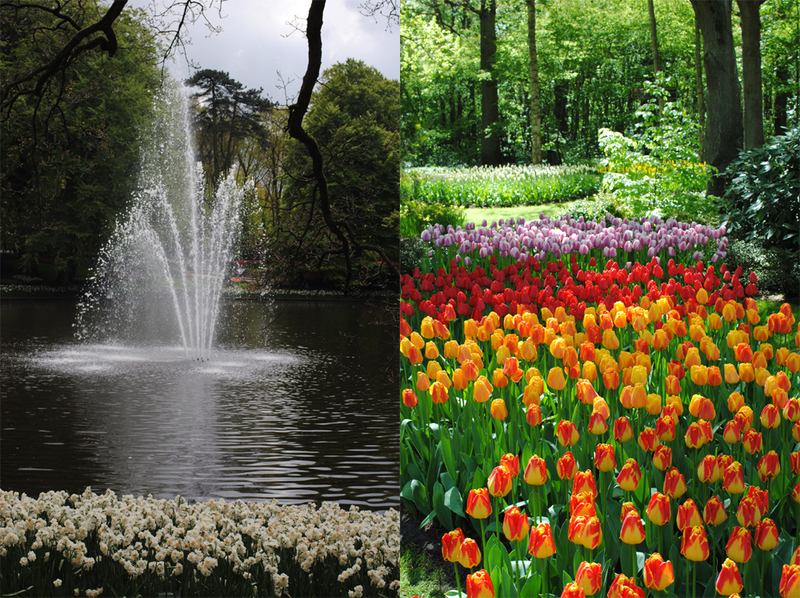 If you get the chance I definitely recommend visiting Keukenhof and the surrounding fields in springtime.